Understanding how we rate fats from best to worst, you first need to know the sources of fats. There are three separate sources you need to look at when rating fats from best to worst. In the complex world of fats, it is important to understand that there are good fats and bad fats. So when we say we are rating fats from best to worst, there are indeed fats that are good for you. 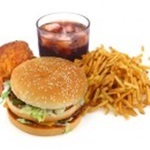 fats from animal sources fall somewhere in between – healthy in moderation, unhealthy in excess. monounsaturated fats: decrease total fats; decrease LDL (bad cholesterol); no effect on HDL (good cholesterol). polyunsaturated fats: decrease total cholesterol; decrease LDL; decrease HDL. trans-fatty acids: increase total fats; increase cholesterol; increase LDL; may decrease HDL. Why You Need Fats is another good resource for information. Fats in this category contain at least 80 percent unsaturated fats. Most contain some essential fatty acids, and all contribute to the health and well-being of the mind and body. Note: The green light is not a license to overeat fat. Eating too much fat regardless of the type can cause obesity, which itself raises blood cholesterol levels. Fish (cold-water, especially Alaskan salmon and tuna) Coldwater fish, especially wild salmon and tuna, are, like flax, rich sources of DHA. Peanut butter Mostly unsaturated fats; buy organic and unhydrogenated; Also, good source of protein. Healthy alternatives to peanut butter are soybean butter, sesame seed butter, and cashew butter. Fats in this category contain a balance of saturated and unsaturated fatty acids which, if eaten in moderation, contribute to the health and well-being of the body. Look for low-fat varieties. In addition, many of these foods are rich sources of other nutrients as well. Egg More unsaturated than saturated fats; yolk is high in cholesterol; use only egg white if you are cholesterol sensitive. You could eliminate all the fats in this category and you would be healthier for it. Any nutrient that might be in any of these fats could be obtained from other fats with better nutritional credentials. “Hydrogenated,” or “partially hydrogenated” Tops the list of fats that are bad for you. Margarine High in hydrogenated fats, especially those with a lot of coconut, palm- kernel, and hydrogenated oils. Shortening Especially those with lard, hydrogenated oils, palm kernel, coconut oils, or tallow.